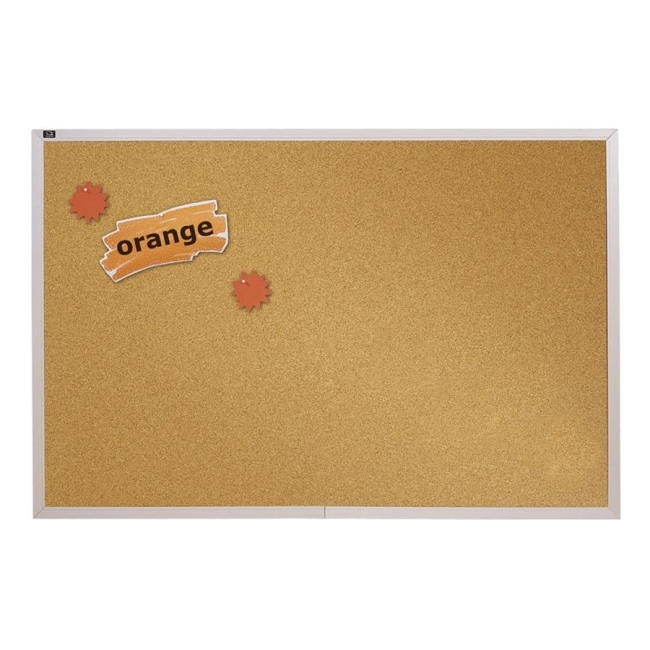 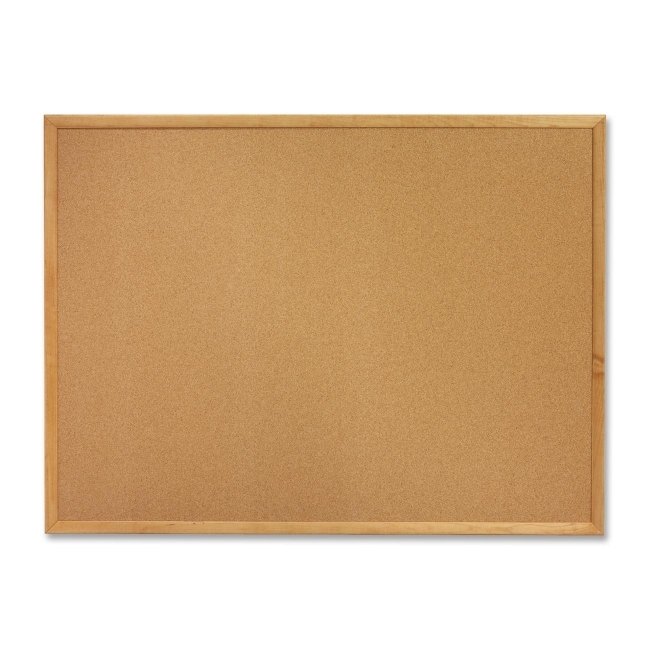 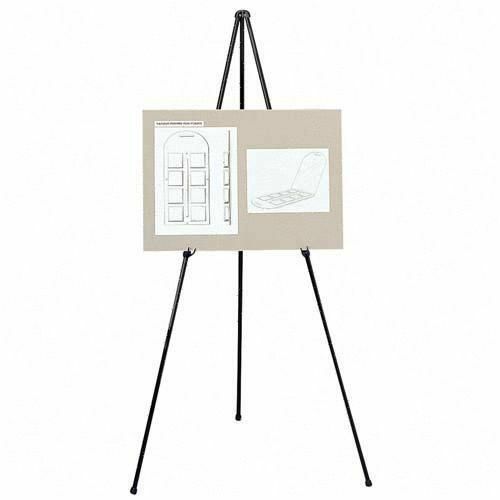 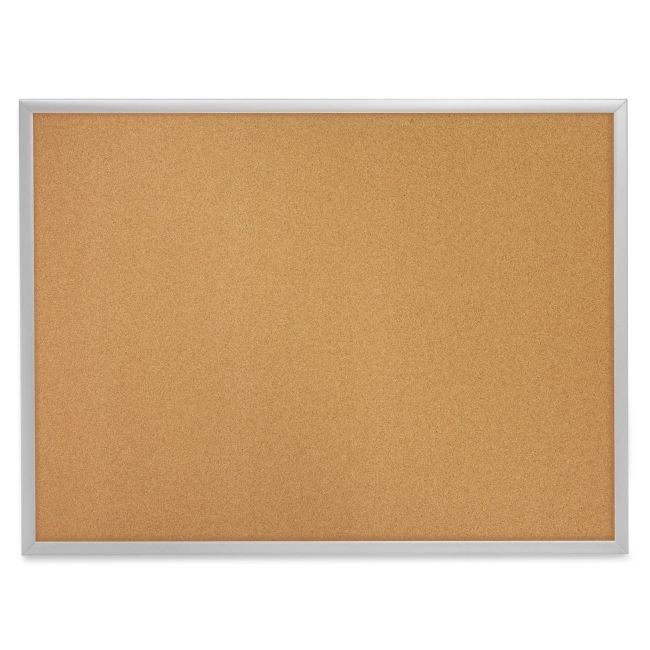 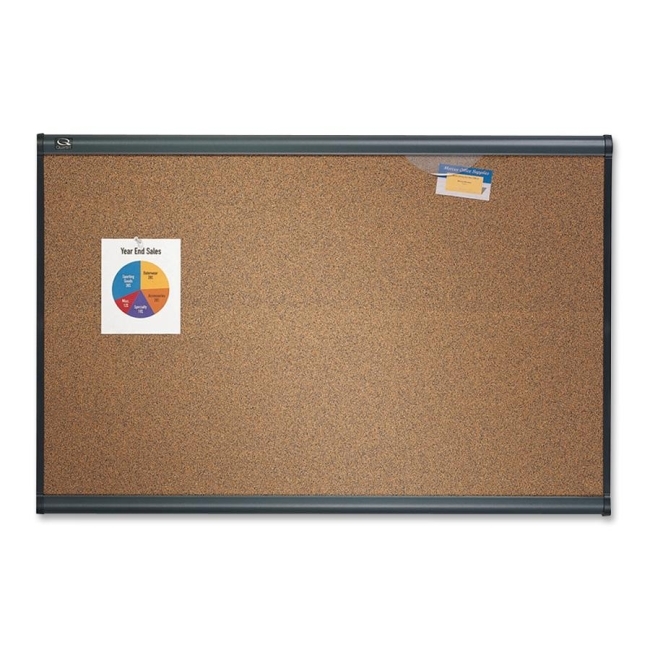 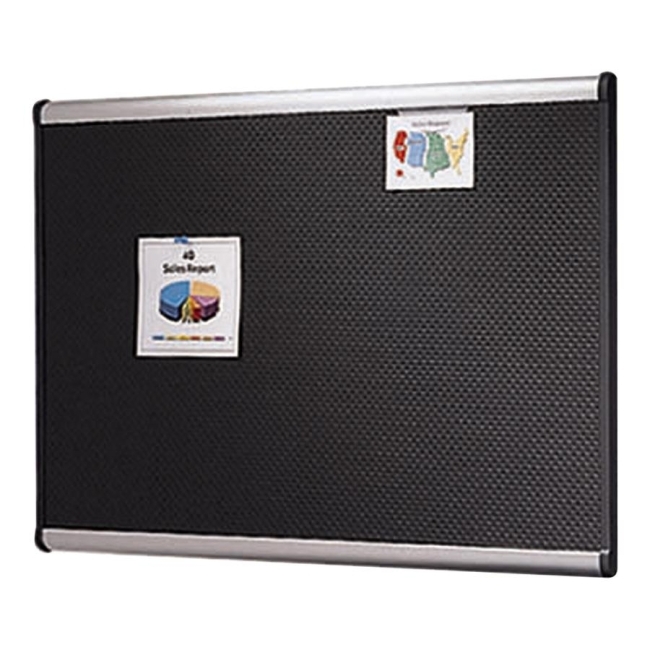 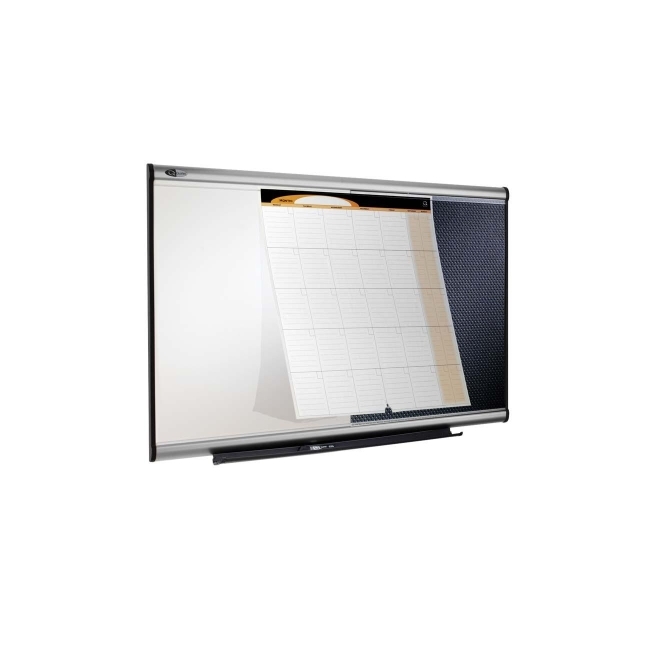 Bulletin board features cork made of 100 percent recycled material and a sleek aluminum frame. 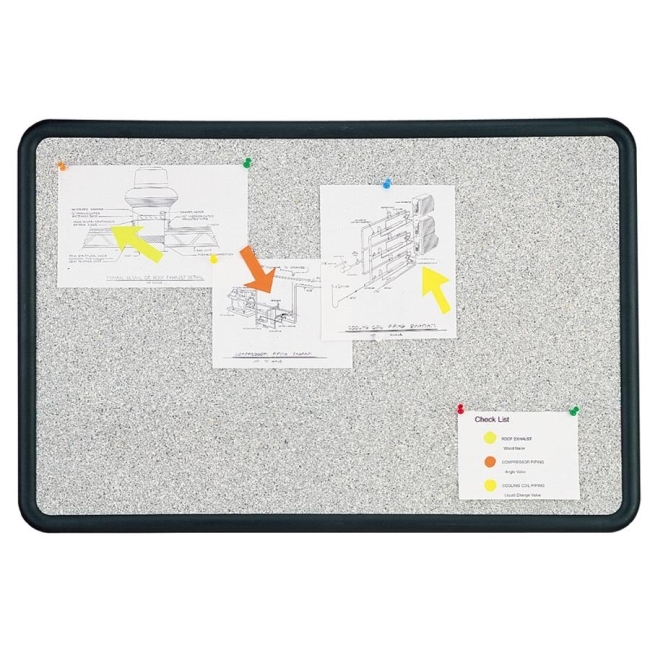 Surface is self-healing. 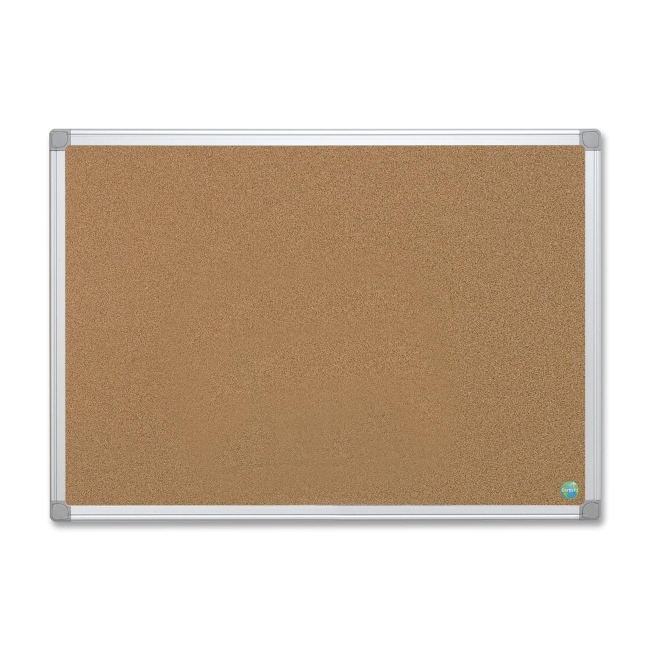 Entire board has 95 percent post-consumer material.